Steve Bannon, the former executive chairman of Breitbart News and former vice president of Cambridge Analytica, said he came up with Cambridge Analytica’s “amazing” name. Bannon said he didn’t know about Cambridge Analytica’s data-mining operation. 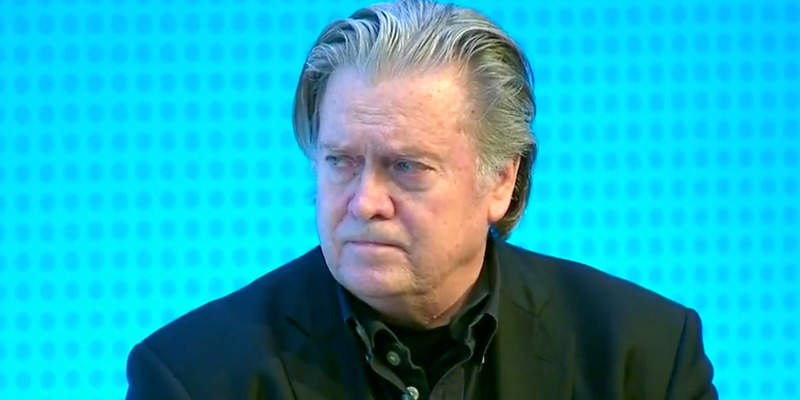 Steve Bannon, the conservative provocateur and former executive chairman of Breitbart News, discussed the Cambridge Analytica scandal during a panel on the state of the media Thursday. Bannon would not comment on Alexander Nix, Cambridge Analytica’s chief executive who was suspended this week amid the fallout from the company’s use of data from millions of Facebook accounts. Bannon served as Cambridge Analytica’s vice president and secretary and was reportedly involved in approving a $US1 million sale for data, such as Facebook profiles, in 2014. “We had to get Bannon to approve everything at this point,” Chris Wylie, the company’s former research director, said in The Washington Post. The company was embroiled in scandal after an undercover reporter filmed Nix pitching his company’s services to ensnare politicians and surreptitiously target voters using data that Cambridge Analytica scooped up from 50 million Facebook users.